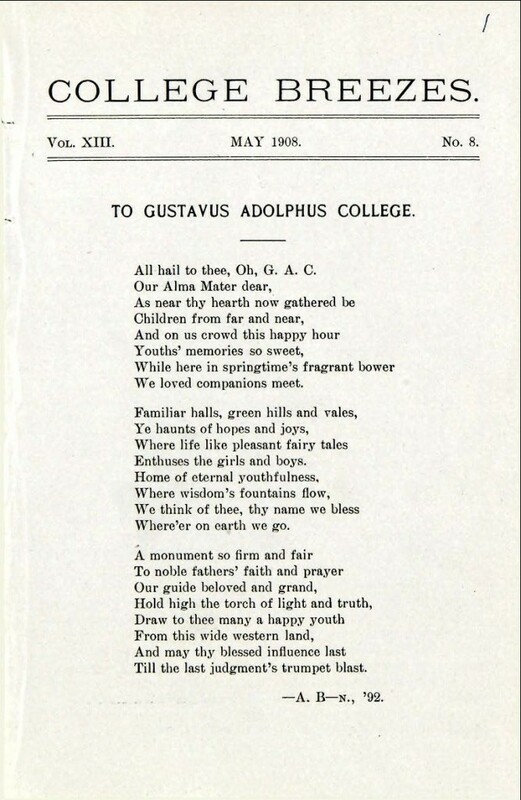 The May 1, 1908 College Breezes front page. Before the Greeks we know today became official fraternities and sororities, many of them were literary and debating society’s (and a few “secret” ones as well) who printed their own newspapers with their minutes. An official all-college newspaper can trace it’s roots back to the the names of Gustaviana (1890-1895) and The Gustavus Adolphus Journal (1896-1903) and were only published a few times a year. Needless to say, the college newspaper has changed name many times. Which of these titles WAS a name of a predecessor of The Gustavian Weekly?